Although there is no cure for Parkinson’s at present, there does exist a range of Parkinson’s disease treatments that help address the various symptoms exhibited by the disease. As was noted in Parkinson’s disease early symptoms, the way a patient responds to a given treatment and the side effects they experience e.g. increased sweating or hallucinations, varies on an individual basis. This is why it is absolutely essential for a patient to be evaluated and monitored on an on-going basis and have their treatment tailored to their specific needs. Not only will it improve the quality of life of a patient but in certain cases, it may possibly help to minimize the rate of progression of the disease. Treatments that may have possible benefits. Classifying pharmaceutical treatments varies depending on one’s source of data. One must always remember that although pharmaceutical medication’s can improve an individuals symptoms significantly, as with any medication, there is always a balance to be achieved with possible side effects e.g. dizziness, constipation, altered mental state, raised heart beat etc. The following is one possible way of grouping the various drugs used in the treatment of Parkinson’s disease. A neurotransmitter functions as a chemical messenger between the nerve cells and in Parkinson’s disease, a lack of the neurotransmitter dopamine causes an imbalanced over activity of acetylcholine. Anticholinergics function by blocking the neurotransmitter acetylcholine in the central and the peripheral nervous system and therefore help minimize Parkinson’s symptoms associated with treating tremors, rigidity and postural abnormalities (Dystonia). Deadly Nightshade and Mandrake are examples of plants that contain anticholinergic alkaloids. Biorphen® contains the active ingredient orphenadrine hydrochloride, Cogentin® is the trade name for the compound benztropine mesylate. These drugs mimic or behave like dopamine and work by stimulating dopamine receptors in the brain thus bypassing degenerative brain cells. Such drugs function in their own right and are not converted like Levodopa into dopamine. They are typically used in the early stages of Parkinson’s (prior to using Levodapa) and at the later stages (in combination with Levodopa) to improve symptom control. Celance® contains pergolide mesilate, Mirapex® (pramipexole dihydrochloride), Parlodel® (bromocriptine mesylate) and Requip® (ropinirole). Levodopa functions by being converted to dopamine in the brain and helps correct the characteristic lack of dopamine and resulting symptoms found in Parkinson’s patients. Levodopa is currently considered the ‘gold star’ treatment for Parkinson’s and is normally reserved as the most powerful treatment. Although the usage of Levodopa was a major advancement for Parkinson’s disease treatment, the long-term side effects from its usage are now being increasingly acknowledged e.g. dyskinesias (involuntary movements). 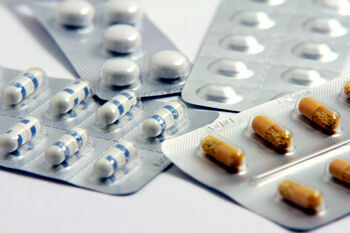 In addition, Levodopa is commonly used in combination with other drugs to increase its effectiveness e.g. These drugs prevent the breakdown of both natural and Levodopa derived dopamine. The result is that a patient will require less Levodopa as its effect will last longer. Rasagiline (Azilect®) can be used on its own or in conjunction with Levodopa; Selegiline (Eldepryl®) is used in addition to Levodopa/Carbidopa where its effectiveness has deteriorated and is available in a orally dissolving form called Zelapar®. Of the various types of NMDA Blocking Drugs, the uncompetitive channel blocker called Amantadine (Symmetrel®) is used for the treatment of Parkinson’s disease. It is considered a relatively weak therapy and can be used as a monotherapy (early stage Parkinson’s) or in combination with Levodopa (later stage Parkinson’s). It helps to tackle involuntary movement problems (dyskinesia). These include drugs such as Cannabinoids, Neuroimmunophilins and Riluzole (Rilutek®). Studies involving these drugs are on-going and determining their role and effectiveness in the treatment of Parkinson’s disease is still to be determined. In the second part of Parkinson’s disease treatment, we will look at non-pharmaceutical treatments which include holistic (various therapies and dietary considerations), surgery and treatments whose benefits are still to be determined.